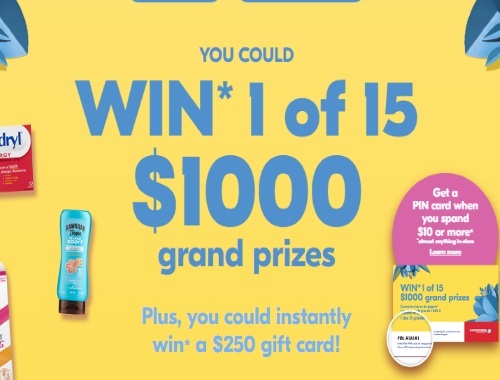 Shoppers Drug Mart has a new contest for spring! You could win 1 of 15 grand prizes of $1000 or instantly win a $250 gift card! Get a PIN code from the cashier in-store when you spend $10 or more. Max of 28 entries per person. Contest ends April 22, 2018. PIN codes must be entered by April 22 2018. To enter with the no purchase necessary option, click here.